November is in full-swing, and Christmas will be here before you know it – meaning it’s time to get festive! If you want to make this holiday season more memorable than ever, consider adding any of these activities to your winter schedule. 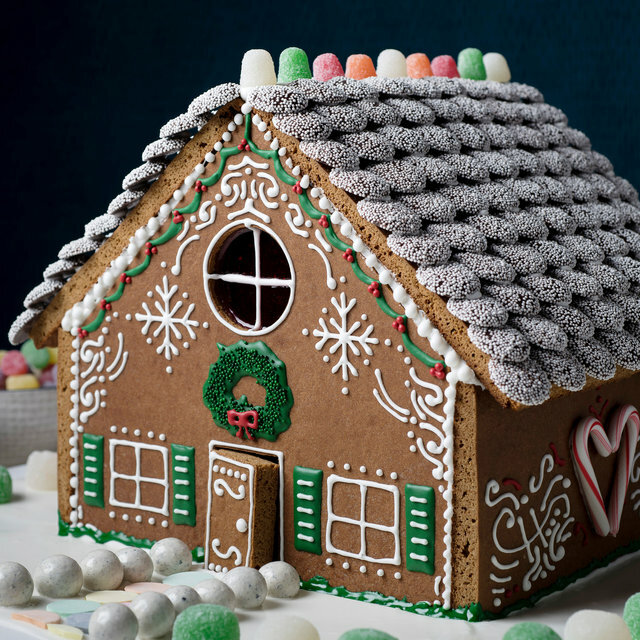 If you’ve got a sweet tooth and you’re feeling nostalgic, it’s time to build a gingerbread house. Decorate this sweet cookie treat with frosting and candies of all types. A winter wonderland you can eat? Yes please! Make it easy by picking up a gingerbread house kit from the store, or bust out those baking skills and make your very own gingerbread. Want to take in some festive lights? Check out your local community and find out if there are any neighborhoods known for their holiday lights. Take a drive around with your special someone or friends and take in the sights! If you love Christmas music, this item is likely already on your holiday bucket list. Take in the dulcet tones of a choral group and listen to your favorite holiday classics live. Whether it’s a beautiful rendition of “O Holy Night” or a rock n’ roll take on “Rockin’ Around the Christmas Tree”, this is one activity guaranteed to have you feeling festive this December. Check out Stubhub for local concerts near you. When it comes time to dress up your tree, skip the store-bought and make some keepsakes you can treasure for many Christmas seasons to come. Put some Christmas music on in the background and sip on a cup of hot cocoa while you work. It’s easy to get caught up in the hectic hustle and bustle of the holiday season, but take the time to give back. Give the gift of time and care to others; whether you head to the animal shelter to cuddle the pups and kittens, serve food at a local soup kitchen, or collect non-perishable food items for local homeless shelters, doing good feels good – and it’s our duty to spread love during the holiday season (and all year long!). What’s the holiday season without a sweet treat or two (dozen)? Invite your loved ones over to partake in a cookie decorating party! Bake a few dozen sugar cookies in fun shapes, and provide frosting, sprinkles, and candy pieces to decorate them with. Tell everyone to bring along a fun libation, and make sure they’re wearing their favorite Christmas digs! Don a funny women’s ugly Christmas sweater, or turn yourself into a makeshift Christmas tree by wearing a green dress and wrapping yourself in tinsel! Make a base for your wreath by wiring two coat hangers together in a circular shape. Cover the hangers with green floral tape. Cut several long branches of greenery, measuring at least 8 inches. You can use any type of greenery you have at your disposal, whether you opt for Pine, Douglas Fir, or Redwood. By using real branches, your décor will look AND smell great – a double win! When the weather gets bad, stay inside and take in some of your favorite Christmas classics! There’s no shortage when it comes to Christmas movies, whether you opt for the decadently cheesy Hallmark Christmas titles or classics like “Miracle on 34th Street”. Make this a Christmas season to remember, and put these activities on your bucket list!